Many of CRP’s beneficiaries have chronic health concerns, from psychological trauma to diabetes to different forms of cancer. In a 2016 UNHCR survey on health service access among Iraqi refugees in Jordan, UNHCR reported that two thirds of the households they interviewed have at least one member with a chronic disease. In a similar survey published about Syrian refugees, five out of ten households had a member with a chronic disease. Besides chronic conditions, refugees experience the full range of health needs that any of us face. Children get stomach bugs or fall and hurt themselves. Expectant mothers need prenatal services. Babies need vaccinations and regular checkups. But accessing health services is easier said than done. Iraqi refugees can receive services at primary health centers for the same rate as non-insured Jordanians, but they pay the full foreigners rate at government hospitals. At the beginning of the Syrian refugee crisis, Syrian refugees received health services for free, but now must also pay the non-insured Jordanian rate to receive Ministry of Health services. The UNHCR notes that this rate is generally affordable for non-vulnerable individuals, but it presents a considerable hardship for many refugees, who cannot legally work. If even receiving care for everyday health issues presents a hardship, how do refugee families respond to chronic health needs or life-threatening conditions? Salem and Shahad are a husband and a wife from Iraq who arrived in Jordan in 2014. Salem was an electrical mechanic, and Shahad was a preschool teacher. They once hoped to have children, but now Salem is somewhat relieved that they do not. In 2011, while still in Iraq, Shahad felt a pain in her breast and was subsequently diagnosed with breast cancer. Shahad received surgery and began taking medication. Though Salem says her cancer is now under control, she is supposed to have blood tests every three months, and her medication is expensive as well. Salem estimates that her treatment costs about 110 JD per month, which is over $150. “Even work is prohibited to us,” Salem says. Because Salem and Shahad are legally prohibited from working, they are in a bind about how to cover her medical costs. But, “The most important thing is her health,” Salem says. Given our size, medical help is outside the scope of what we do at Collateral Repair Project. Salem and Shahad have sought assistance from various nonprofit organizations in Jordan, but most nonprofits are stretched thin by the sheer number of refugee families in need, and those Salem spoke to have been unable to fully cover Shahad’s medical costs. In Iraq, Shahad had a specialist, but in Jordan, Salem and Shahad go to different hospitals and health centers instead of to one doctor. Shahad has experienced difficult side effects from different medications she has tried, and though Salem says she is now doing well, he also adds that she tires easily. In the meanwhile, Salem has his own health concerns; he takes medication for his blood pressure, but only receives 17JD in monetary assistance every four months. Unable to work and worried that they will not be able to continue to find a way to meet their medial needs, Salem and Shahad dream of being resettled outside of Jordan. Salem’s sister is in Australia, but their application to join her was denied. 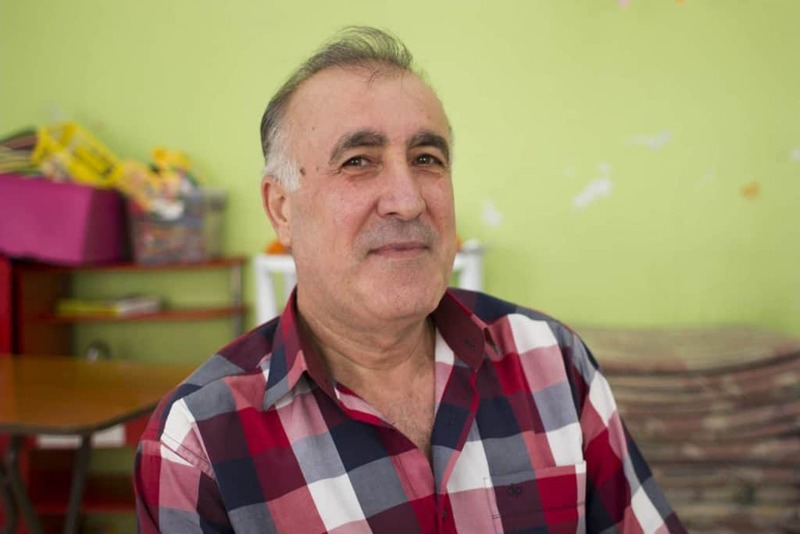 Salem and Shahad’s story is just one out of many that we hear at CRP from the people who come to our center, where Salem often participates in our Men’s Support Group. The Jordanian health system is overburdened by the influx of refugees, and the both government and nongovernmental organizations struggle to meet the health needs of Syrian, Iraqi, and Jordanian families.